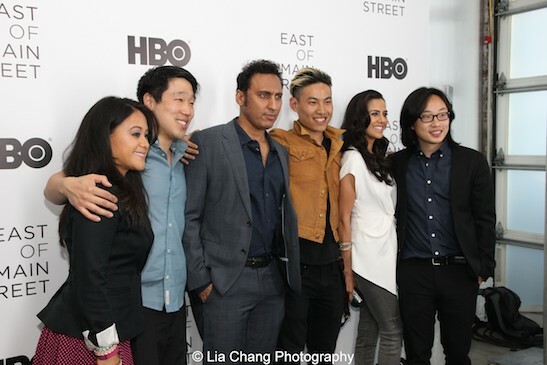 In honor of Asian American and Pacific Islander Heritage Month and the fifth installment of its acclaimed special East of Main Street, HBO hosted a VIP screening and panel discussion with the stars of Jonathan Yi’s East of Main Street: Taking The Lead on Wednesday, May 6 at Root (Drive-In) Studio in New York City. The party featured divine tastings from local Asian American restaurants Taiwanese eatery Baohaus, Filipino hotspot Jeepney, Korean noodle bar Mokbar and Indian outpost Dosa Royale, with cocktails provided by Hennessy V.S.O.P Privilege and beer by Heineken. 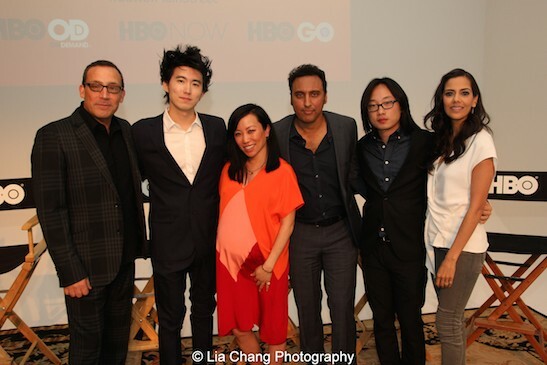 Directed and produced by Jonathan Yi and featuring Asian American stars like Lucy Liu, BD Wong, Russell Wong, Aasif Mandvi, Sheetal Sheth and Daniel Dae Kim, East of Main Street: Taking The Lead showcases a select group of Asian Americans in various stages of their movie and television careers. Hot 97 on-air radio personality Miss Info moderated a panel after the screening featuring actor and comedian Aasif Mandvi (The Daily Show correspondent, “Halal In The Family” and “The Brink”), award-winning film, television and theater actress and producer Sheetal Sheth, actor and stand-up comedian Jimmy O. Yang (Jian-Yang in HBO’s “Silicon Valley”), director Jonathan Yi (East of Main Street: Taking The Lead), and executive producer Louis Tancredi. Directed and produced by Jonathan Yi, East of Main Street: Taking the Lead showcases the personal journeys of a talented group of performers including Lucy Liu, Daniel Dae Kim, BD Wong, Aasif Mandvi, Russell Wong, Lucille Soong, Jimmy O. Yang, Melanie Kannokada, Dennis Oh, Sheetal Sheth, Raymond J. Lee, Nivedita Kulkarni, Tobias Wong, Michelle Goike, Veronica Reyes-How and Katarina Zhu, through in-depth interviews. The special gives viewers inside access into their lives and art, from their daily struggles to their greatest achievements. “This year, with so much attention being paid to racial and cultural diversity in Hollywood, we wanted to examine what it takes for Asian Americans to succeed in the entertainment industry,” said Yi. 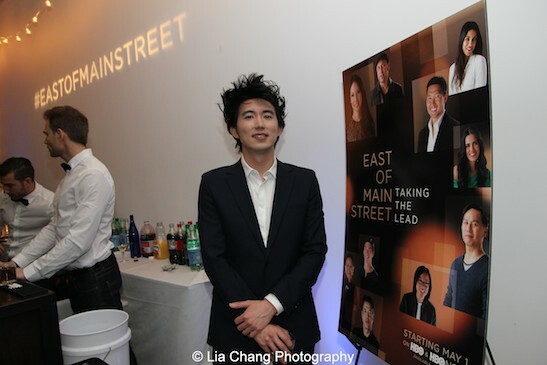 East of Main Street: Taking the Lead can be seen on HBO On Demand, HBO GO and HBO NOW throughout the entire month. Jonathan Yi is a director and cinematographer, most often working in the realms of commercial production and documentary. His documentary feature “Mad Tiger” will be in theaters nationwide in August 2015. His client list in the advertising world includes Nike, Smirnoff, HP, Kleenex, JetBlue, Stride, Trident, Kotex, Microsoft, SAP, TD Ameritrade, Schick and American Express, among many others. Outside of the ad space, Yi has directed five installments of HBO’s award-winning series East of Main Street and shot projects for Paul McCartney, Twisted Sister, Poison, Daniel Johnston, Mates of State and The Locust. Shift, a film that Jonathan shot, directed and produced, has also won many accolades and played in many film festivals. 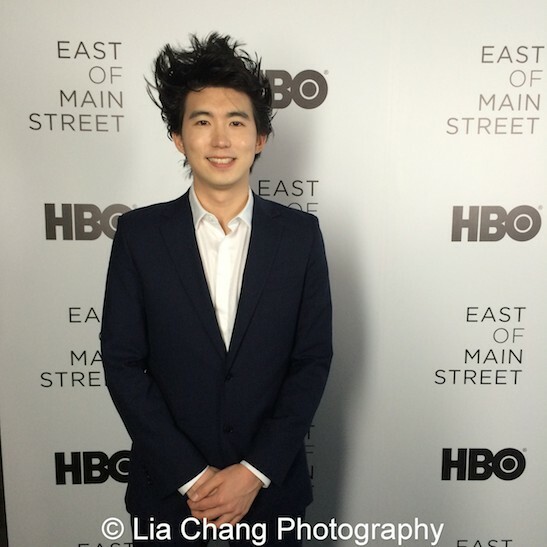 As a director/cinematographer, Yi’s work has been showcased in such magazines as Creativity and Vice. Yi teaches 16mm and digital cinematography at NYU’s Tisch School of the Arts. He also consults for Canon USA. Yi attended New York University’s Tisch School of the Arts Film Program. 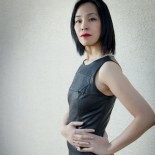 This entry was posted on May 7, 2015 by Lia Chang in Asian American Artists, Asian American Issues, Asian American Pioneers, Chinese American History, Entertainment, Events, Film, New York, Television, Theater and tagged Aasif Mandvi, Asian American and Pacific Islander Heritage Month, Asian American Filmmakers, Asian Americans, ASIAN-AMERICAN ACTORS, Backstage Pass with Lia Chang, BD Wong, Daniel Dae Kim, Dennis Oh, East of Main Street: Taking the Lead, Halal in the Family, HBO, HBO On Demand, Jimmy O. Yang, Jonathan Yi, Katarina Zhu, Lia Chang, Lucille Soong, Lucy Liu, Melanie Kannokada, Michelle Goike, Nivedita Kulkarni, Raymond J Lee, Russell Wong, Sheetal Sheth, Silicon Valley, The Brink, The Daily Show, Tobias Wong, Veronica Reyes-How.